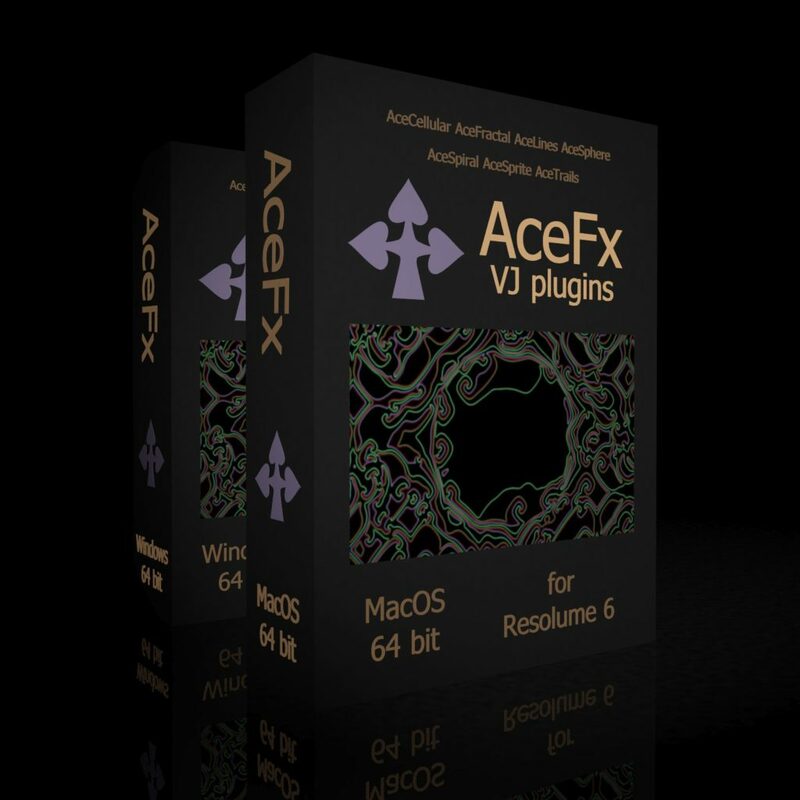 AceFx 64 bit has been carefully recompiled with love and affection to plug into Resolume 6 and take full advantage of its new 64 bit addressing capabilities. As well as all of the plugins from the 32 bit version of the pack, AceFx 64 bit contains the brand new plugin AceTrails. Find out about all the cool effects in AceFx 64 bit here.